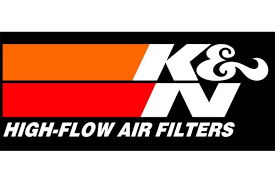 K&N Engineering, Inc. is a manufacturer of performance air filters, cold air intake systems, oil filters, performance parts, and other related products. K&N manufactures over 6,000 parts for various makes and models of cars, trucks, SUVs, motorcycles, ATVs, industrial applications and more. Founded in 1964, K&N is headquartered in Riverside, California, in a complex of 10 buildings comprising nearly 400,000 square feet. K&N also operates facilities in England and the Netherlands. Who is iPull-u-Pull? - We are a group of industry leaders who believe it is time to come up with a better way to sell vehicles and vehicle parts. We also feel that the number one priority of our employees is to provide the best customer service possible. Easy to say, hard to do. Menlo Gate offers entry level real estate investors an opportunity to enjoy the benefits of real estate investing with the peace of mind of knowing that their investments are being professionally placed and managed. Only one life insurance broker truly understands your passion and can provide the winning financial solutions you need. 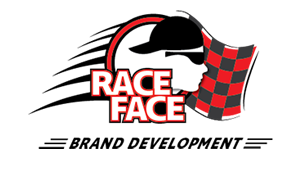 Make Racers Insurance Services a part of your winning team. At Gunderson Direct we don't try to be all things to all people. What we do is direct mail, and we do it better than anyone, through our deep expertise and smart, performance-driven strategy. Whatever your DM goals, we can help you reach them. Founded more than 60 years ago as Silicon Valley began transforming into the world’s technology hub, RMKB is headquartered in Redwood City, California. The firm's practice areas are structured to serve our clients’ vibrant industries and specialized areas of interest. Calogic designs and manufactures analog IC’s and discretes for use in power management, computer, telecom, instrumentation, and medical applications. All wafer fabrication and electrical tests are performed at Calogic’s Fremont, California location. Assembly takes place in Pacific Basin and final tests and Q&A are accomplished in Fremont, CA. Redwood Landing’s success is attributed to hands-on professional property management, a well-trained on-site staff and aggressive management and marketing programs. Redwood Landing’s clients include lenders, partnerships and single owners. CLIMATE is published by Eric and Lori Lochtefeld, owners of the iconic Fox Theatre, in Redwood City, CA. They are passionate about Redwood City and its future, and serve the community in a variety of ways. Creative Director, Jim Kirkland, is a native of the Bay Area and has lived in Redwood City for over 36 years. Editor, Don Shoecraft, is a seasoned political reporter, author of three books and writer of many articles. Silicon Valley-based Filice Insurance, a West Coast leader in the delivery of cutting-edge business insurance and employee benefit programs and services. Founded with the goal of delivering benefit and insurance programs to rapidly-growing Silicon Valley, Filice Insurance has grown to become the "go to" resource for businesses of every size and in every sector, from high-tech software, hardware and manufacturing companies to service providers, distributors and retailers. Filice continues to lead the industry in customer retention and satisfaction by deploying teams of experts across every domain, staying ahead of customer requirements, regulatory changes and industry trends. HomeSmiles is the industry leader in scheduled annual maintenance solutions for home and property owners. HomeSmiles provides a "one click/one call" solution for your home or property. The company's mission is to increase home and family health and safety through scheduled annual maintenance solutions. Hooked On Driving (HOD) is a community of individuals who share a passion for driving their cars. HOD has the goal of being the first true, trusted national brand of performance driving programs, and is well on the way to accomplishing this goal.